The central government on Tuesday announced appointment of governors in six key states including Jammu and Kashmir, Bihar, Uttarakhand, Haryana, Tripura, Meghalaya and Sikkim. Satya Pal Malik, who was serving as the governor of Bihar, will take charge of Jammu and Kashmir. He will replace NN Vohra, a former bureaucrat who took the charge of the volatile state in 2008. As Malik will be heading to take stock of the affairs in Jammu and Kashmir, the Raj Bhawan in Patna will welcome Lalji Tandon, a trusted associate of former prime minister Atal Vihari Bajpayee. Former Agra Mayor Baby Rani Maurya will replace Dr KK Paul as the governor of Uttarakhand, while prominent Dalit leader from Bihar Satyadev Narayan Arya will be the new governor of Haryana. In major reshuffle in North Eastern states, Tathagata Roy, who was serving as the governor of Tripura, has been transferred to Meghalaya. 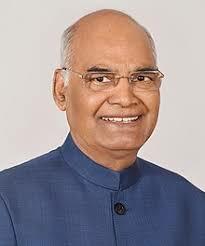 Roy will be replaced by Haryana governor Kaptan Singh Solanki, while Meghalaya governor Ganga Prasad will be appointed the governor of Sikkim.